Social media has become a valuable tool for real estate agents. It allows agents to feature listings, share original content and target specific buyers with advertising. Real estate Facebook marketing can help you grow new buyers and sellers. With over two billion users, Facebook is fast eclipsing paid search as a way to generate leads. In addition, the current average amount of time spent on Facebook is 35 minutes per day. With this kind of user volume, it’s safe to say that the buyers or sellers you wish to target are using Facebook. With real estate Facebook marketing, you can grow your presence and engage users. In this post, you’ll find an ultimate checklist to getting your page up and executing a successful strategy. Setting up your page is simple. There are just a few steps. Go to “Create a Page” then choose the page for business. You’ll then need to add your business category, fill in the necessary details and load a profile and header image. Take care in writing your “About” section. Make it personal and customized to what you offer as an agent in a city or metro area. This should be short and impactful. Talk about how your help people find their new home. This should be friendly and conversational. You also need to add your website to this section. For images, you can use a headshot for the profile image. For your header, create something that is in line with your website design. It can include your logo and contact information as well. Make sure the imagery chosen is professional and consistent with your brand. Another crucial part of your page set-up is gathering reviews. Reviews are proof points with those checking out your page. If possible, ask past or current clients to review you on Facebook. Facebook is fueled by content. Content is a critical part of real estate Facebook marketing. Be consistent in posting so you can grow your followers. Content should be both original and third-party. Consider the 50/30/20 rule for posting. This rule designates 50 percent of your posts should be original content like blogs, video and infographic. The next 30 percent should be third-party relevant content. Examples are articles on the housing market, design ideas for home or events and activities in the community. Aligning yourself with community happenings can help drive engagement on your page. The final 20 percent is promotional posts, which may include call to action language around getting in touch or posts that relay some offer like a free consultation. These posts are meant to drive leads. One great way to do this on Facebook is to create an offer around a regular newsletter. You can create a newsletter sign-up post, which can build your email list. Emails are the number one contact information you’ll want to have. What should real estate agents post about? Video tours of your listings. Use video to create a virtual showing of a property. Video is often key to real estate Facebook marketing. It gives people a glimpse into the property. You can even highlight the property’s unique elements. Share FAQ types of content: consider the questions you get asked the most by clients and put that into a Facebook post. For example, the question could be, “What’s the best month to list your house?” You can then answer the question based on your experience. The question is general; make the answer specific to your area. Create DYK (Did You Know) posts that show your expertise in real estate and inform the reader. You could use DYK as a series. Some ideas around this theme are statistics on preparing homes for sale, like professional photography and staging. Link to long-form content on your website. Your posts on Facebook should give users a glimpse into the content you publish on your blog. Create curiosity with your posts by highlighting what they’ll learn if they read your blog. This sparks interest and gets visitors to click through to your site where they’ll read your post and may stick around on your site longer. There is some science to scheduling posts. Facebook works on algorithms that change so it’s hard to know at first the reach of your posts. Reach, in this connotation, means how many users saw your post. As a good rule, you should be posting a few things every day. Because real estate isn’t a nine to five job, neither is your social media. The best thing you can do is test content at different times. You can schedule postings through a third party social media management platform or within Facebook itself. Once you have at least 30 days of posting, check your engagement time. Then you can start to see when users are most likely to engage with your content and adjust accordingly. 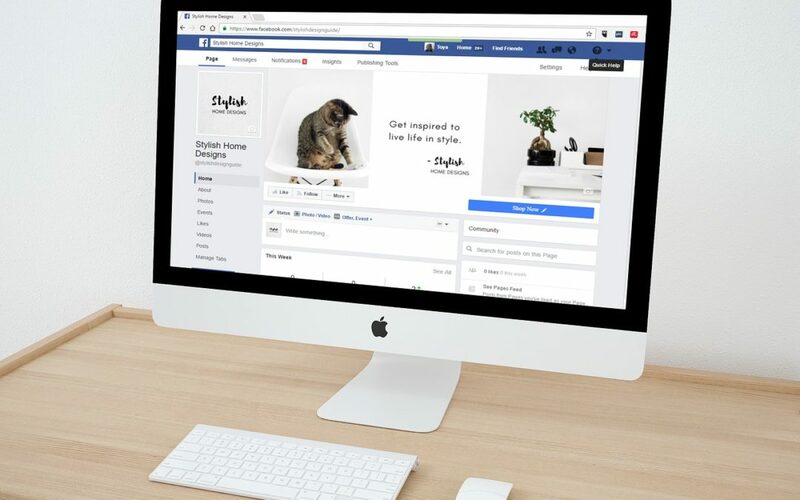 Facebook has certainly evolved from a site to share pictures to now playing an important part in how many businesses connect with and attract audiences. There is much opportunity for real estate agents on Facebook. Following this real estate Facebook marketing checklist should help you grow engagement and your business. Get more ideas by reading our real estate inbound marketing tips.